Brian McBride has been recording music as one half of Stars of the Lid since 1995, but 2010 has been an especially active and varied year for him. 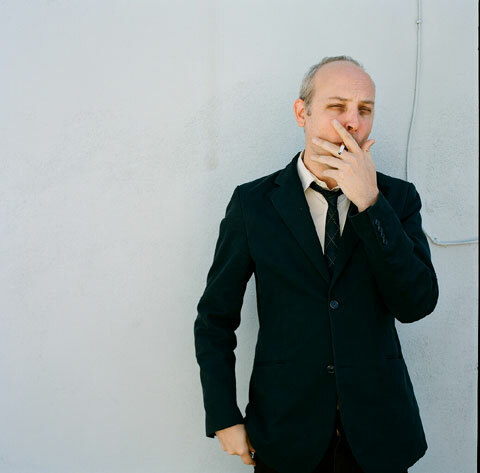 Last month, he released The Effective Disconnect, his long-awaited second solo album and first foray into composing a film soundtrack. He also recently co-founded a record label (Failed Better) and made his debut as a member of Bell Gardens on the Hangups Need Company EP, a significant stylistic departure from his past work. Brainwashed caught up with Brian to gather some insight on each release along with his other current activities. Tell me about The Effective Disconnect - who's behind it, how did you get in touch, what the film is about. Maryam Henein and George Langworthy, the filmmakers, approached me in 2008. George and I had crossed paths before in Austin during the early '90s. We both worked at the same radio station. "Honeybees have been mysteriously disappearing across the planet, literally vanishing from their hives. Filming across the US, in Europe, Australia and Asia, this documentary examines the alarming disappearance of honeybees and the greater meaning it holds about the relationship between mankind and mother earth. As scientists puzzle over the cause, organic beekeepers indicate alternative reasons for this tragic loss. Conflicting options abound and after years of research, a definitive answer has not been found to this harrowing mystery." Is this the first real soundtrack you've worked on? This is first film that I've worked on prior to film lock. I've had many pieces of music used in films, but this is first time that I've actually collaborated with filmmakers to develop music while they were still in the editing stage. What kind of effect are you trying to achieve with the music? While writing and recording, I tried to adhere to two guiding principles: I knew that I wanted the music to convey a sense of fragility due to the subject matter. And I also purposely tried to not overwhelm the film, wanting to provide them something that emphasized their ideas rather than creating some type of music video. George and Maryam asked me to concentrate on four different themes. Some themes I was better at than others–the 'gloriousness of the bees' was a tough one for me. Communicating beauty can't really be forced. You don't want it to become merely ornamental or trite. But the main concern was for the music to serve as a reminder as to how fragile this ecosystem is. We all need reminders how fragile the world is around us from time to time. Have you incorporated anything new this time around in terms of direction, influences, or technique? The main difference between this record and my previous work revolves around the tension between making a record and making music for a film. The two are not the same thing. Non-soundtrack work for me takes each side of a record as its own larger piece of music. There may be multiple pieces on each side of a record, but inevitably the twenty minutes or so that I need to work within ends up informing the structure and flow of the music. Scoring a film is about conveying an idea within, say, three to five minutes, or quite often even less. It's more about providing a change to facilitate transitions or mark moments with some significance. After scoring is done, turning it into a record feels a little bit like forcing your work into some sort of artificial collage. When I listen to this record, it seems way busier than what I'm used to, primarily because of the demands of the film. Moods have a tendency to fluctuate a bit more than they would on a Lid record, or even my previous record. I also ended up recording more violin and viola than I normally use because I wanted the music to able to sit at a distance from the film and still retain some presence. The higher end pieces, I thought, would not get as lost underneath the narration. Did you have much interest in bees before you became involved in the film? I wasn't attending any save-the-bees rallies or anything. However, I did an immense amount of research on questions of sustainable agriculture versus industrial agriculture for a college debate topic the year before I was approached to write music for the film. Has learning so much about them had any impact on your lifestyle and general philosophy? I've always been a consumer and supporter of local and organic food. I try to be conscious of my influence on the world, but not because I believe in protecting future generations. The environment isn't something that should be preserved because our kids will need some food or some trees to visit– some things have value in themselves. Is there anything about bees that you found abstractly applicable to creating music? Bees, yes. There's a fragility to them that's immediately appealing. Fragility is something I've often struggled to recreate. But bees also have a natural sense of purpose...a sort of tenacity that I respect. The idea of pollination is intriguing to me in the sense of taking what's in your environment and making it something else. I've always appreciated the idea of taking the disregarded and turning it into music. But I identify just as much with the directors' documentary project itself as I do with its subject matter. Attempting to communicate something like colony collapse disorder is probably a lot like releasing a record for people that listen to quiet music. We share the same futile effort. In order to do it, you have to convince yourself that it's important for you to tell your own version of the world in spite of everything around that tells you otherwise. To be honest, I don't really have much hope or faith in the world in kind of a global sense, but I do think there's something about futile acts that does make sense. Making a type of music that is so antithetical to almost everything that one notices in the world is probably just as crazy as attempting to influence people to pay attention to what goes into the process of making food. Intervening into the musical choices that people make is one thing, but trying to make a case for the public to care about how their food is made and ignore their tastes and their need for a food cabinet that fits their budget is another thing altogether. Everyone can agree that bees play a pivotal role in the sustainability of the entire food chain, but they also have a tendency to sting people- often in retaliation for entirely imagined provocations. Given that, it is reasonable to say their motives are inscrutable and their morals are dubious. Have you given much thought to whether or not you are on sound ethical ground in casting your lot with such an element? Things that should be preserved can always sting. Every relationship we have with anything has the potential to sting you. Do you find that you are being treated differently by the apian community since your involvement with the film? I don’t really think I’ve been even noticed. Those people have more important things to think about than my music. Can you tell me about Bell Gardens - who's involved, how did you meet and come up with that idea? Bell Gardens is a project that I've been working on for the last three years with a good friend of mine (Kenneth James Gibson) who also lives here in LA. It's kinda a symptom of wanting to make music outside of my normal comfort zone; to see if I could make pay homage to what I consider to be timeless music and do it any justice. The music gives me an opportunity to play around with stable time signatures, step-up chord structures, old keyboards, and orchestrate parts until I'm blue in the face There's even beats and vocals on it! For me, it's more 'experimental' than any other music I create simply because I'm stumbling through the learning process. But the content of the music itself varies between the structure of Roy Orbison song and something a bit stranger. We use a bunch of strings, horns, pedal steel and vocal harmonies to lush it up. Sometimes when we're done we’re working with over a hundred different tracks. It's been a great challenge, but it’s one with many difficulties. We self-released (by creating our own label, Failed Better) a vinyl-only EP in May (Hangups Need Company). And apparently it's quite difficult to start your own label and break into the political economy for this kind of music. For performances, we've had as many as ten people on stage, which is quite a bit to juggle in practice or when we're the third band out of four in a lineup. Have you secretly been making music like this for all these years? No, it's a new thing for me. I've always had a soft spot for the soft rock, just never made any moves towards attempting something akin to it. Did your solo performances for When the Detail Lost its Freedom result in any stylistic epiphanies that changed how you went about composing your upcoming album? Is it difficult to find the balance right balance between spontaneity and pre-planned material when you perform? After When the Detail Lost its Freedom was released, I used my solo performances as opportunities to try out new material. Part of my motivation was really just to move on. Detail was such a personal thing for me because the record was what I did to cope with the end of my first marriage. 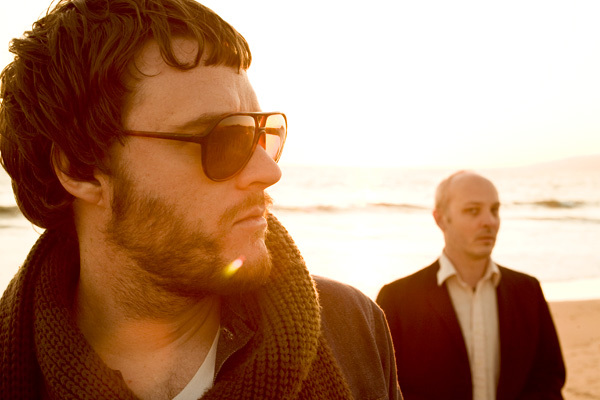 There's a bunch of sorrow in that time capsule of a record that made it difficult to revisit. In the handful of shows that I did, I only ever played three pieces off the record. But the other purpose of writing new material was also an attempt to adapt to the perceived demands of the live environment. A performance, like a record, should evolve, but there are certain unique constraints on a performance that may not exist as much on a recording. I find that audiences for a performance have much less patience. The comfort of your own personal listening environment typically corresponds with more tolerance for less. So, for my Detail performances, I ended up trying some more active piano pieces and adding in a bit more bombast to change it up a bit. I believe that what I saw as necessities for performing live will end up producing a bit more diversity on my next record. Do you find the freedom of working alone more conducive to getting exactly what you want or is it easier to have a collaborator to serve as a foil? Working alone is always easier, but it may not be as fruitful. I prefer both, actually. It's nice to have someone else to bring you out of your element or to just call you out on your lazy habits. Is composing for large ensembles more or less difficult than you expected? It seems like it would be would be an unusual experience after working alone or as part of a duo for so long. Composing for large ensembles is definitely challenging because of the difficulties of transcribing sound. Writing ahead of time -no matter how much you try to approximate, say, the sound of a French horn- won't ever really sound like the way it does until it's recorded. Writing melodies are much easier than writing sound. To be perfectly honest, I don't just want the sound of a symphony. I want a symphony that is tuned the way I want them and that's recorded in a way that's conducive to my ear. I find that once something is recorded, any melodic development changes dramatically because my ear will rewrite what I intended based upon what worked and what's interesting. But the challenge of working with more people is not the difficult aspect of it– an ensemble is really just providing more stuff to play with. I never go into the process of recording thinking that my original idea has got to be right. What's next on your agenda? 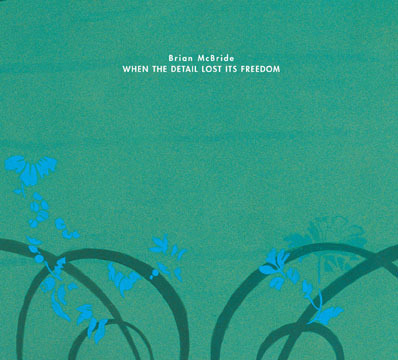 Another Brian McBride album? Perhaps talk of the next SOTL? Stars of the Lid has been writing new material. We have been for a while. The next record will be grandiose in its design. We've been writing music for larger ensembles. It wouldn't hurt for people to practice patience. On my own end, I have a record that I’ve been working on for around five years now. The pieces were an outgrowth of preparing for performances in support of When the Detail Lost its Freedom. I purposely chose to avoid using any of this work for The Vanishing of the Bees score because I wanted to exploit my reactions to their work as much as possible. Using a previously recorded music would not have been respectful towards their work. I wanted my response to the substantive content of their film to influence my musical choices. At some juncture, the next solo record will be completed, but I'm under no illusions about racing towards the finish line. You shouldn't hurry patient music. 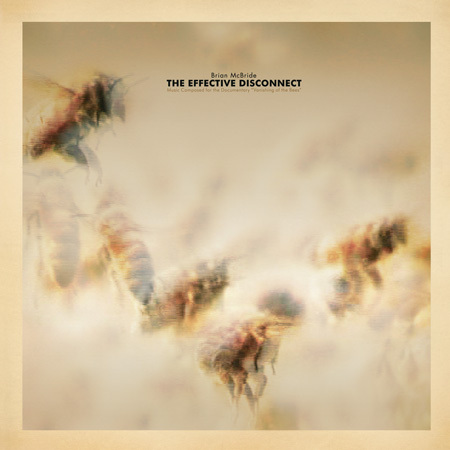 The Effective Disconnect is available now on Kranky. 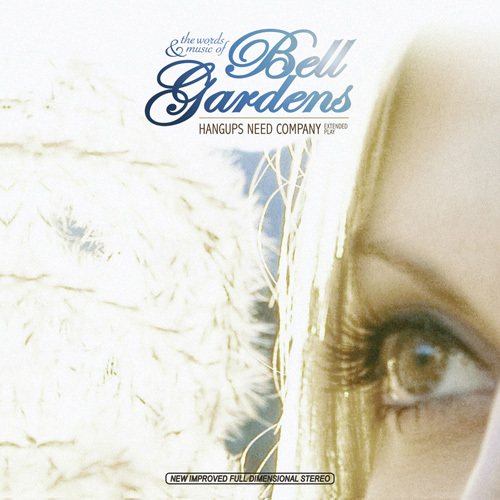 Hangups Need Company by Bell Gardens is available now on Failed Better Records. 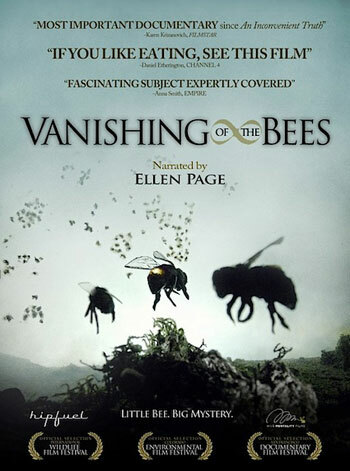 The Vanishing of the Bees is being shown now and is available on DVD.